The Solar Renewable Energy Corporation is an Australia-based firm that has installed solar power systems on hundreds of homes throughout the country. It also offers commercial solar PV. Members of the team will assess the home of the consumer before deciding which solar power system is right for their needs. Electricians who install the panels are certified by the Clean Energy Council. The Solar Renewable Energy Corporation uses solar panels from a range of top suppliers, including Silex, Hyundai, Sharp and PVI Solar. It can also offer assistance to customers hoping to make the most of federal and state rebates for renewable energy. As a "new purchaser" I knew very little. I had a call from Tom O'Donnell. I was most impressed with his help. He gave me a price that was "very low". I said to him that he could charge me more! Tom replied that he could pay more if I wanted to! He later took $150 off the price. 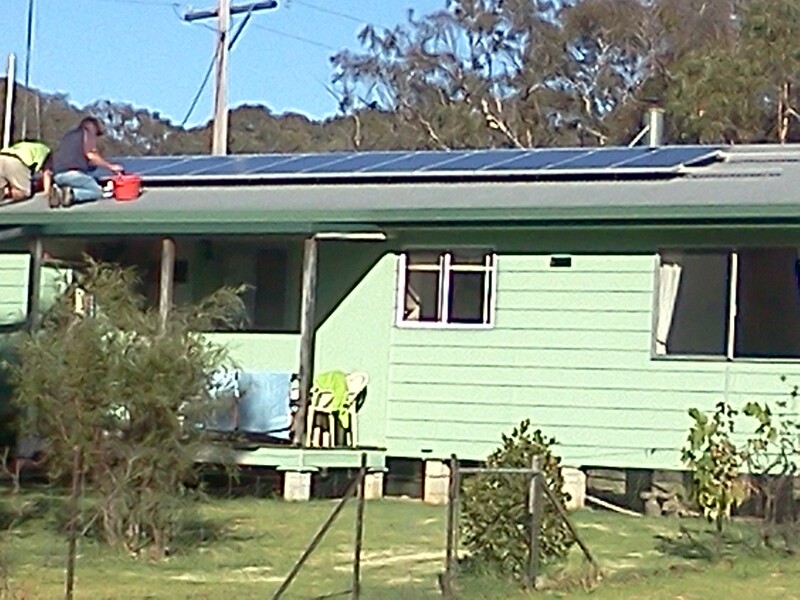 We got 8 panels and a 3kW system. for under $2300. Tom advised me to only purchase a minimum number of panels, and a bigger inverter as panel prices were going down and we could get more panels later. Obviously talking on the phone one does not know if the service etc. is real. I emailed Finn and asked him about Solarrec. Finn emailed instantly and gave me positive feedback on Solarrec. I also forwarded a quote to a local Solar Company, who confirmed the prices were good. Solarrec's Tom O'Donnell was on the phone the next morning and then made a house visit. Chose Solarrec on price and which included German PV Panels. Panel installation was completed within one week of agreeing on the price and then hook up to the grid took another two weeks. Once I had chosen the Supplier and agreed on a price, it was installed fairly quickly in late February. After installation it took a long while to get the meter connected. Energy Australia approved on 14th March, but the installation wasn't completed till today [6th April], and this took a lot of persistent chasing on my behalf. At the same time I was ordering a fireplace, and similarly i had to do a lot of chasing of the tradesman involved in installation to get a quote. It seems that there is a lot of work around, a limited number of skilled tradesman and the companies are having difficulty coping with the workload. While I was pleased with the Solar Rec - they were very very fast to install and prompt in delivering the system- there are a number of points that are not satisfying. 1. They switched panels on me at the last minute. Basically sold sytem A and when it came to install declared that they had only panels from manufacturer B available. I had no choice but to accept otherwise I would have to wait for a long unknown amout of time before I could get the system initially offered. Of course the new panels were slightly less efficient and from a less known manufacturer than the ones in the initial offer. 2. I am still waiting for the meter/grid connection. While they promised to organise this for me within 2-3 weeks, it did not happen and I am left to deal with the guys that do the meter connections. That is now after over 4 weeks after the installation. 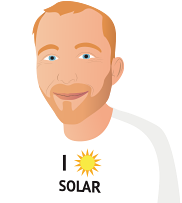 A real pleasure dealing with solar rec and tom who gave me immediate attention and sorted out all my requirements . Tom showed his knowledge and expertise by explaining the ins and outs of the various systems in laymans terms as well as giving me the best price. Unfortunately all quotes received from other suppliers fell well short in all areas. They were very slow on the the follow through with the order . Tell you that you will get paper work then forget to send it. The installation was very prompt but we waited 2 weeks for the grid meter. After a few broken promises it was installed at a much reduced cost. Overall everything seems to working fine and we are just waiting for our 1st bill. Installation was completed on time & professional, Tom was very informative & helpful with selecting the system, customer service very poor they never return calls & little paper work. Have not been connected to the grid yet (6 weeks) told next week? Every day not connected is costing us money ( the paper work was approved in 3 days).